This is a private, once in a lifetime experience! 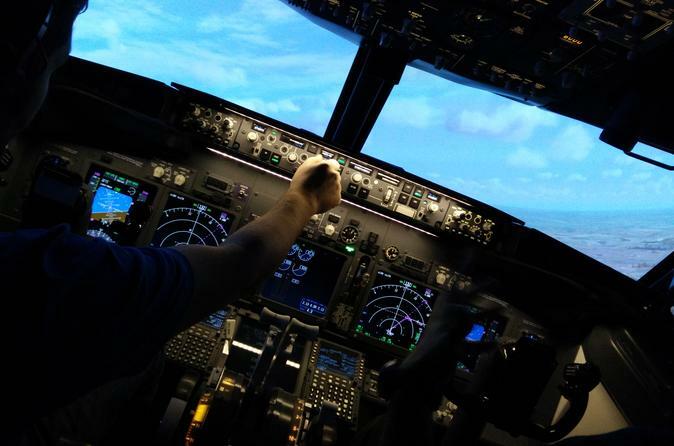 Enter the flight deck of a Boeing 737-800W aircraft simulator where you'll be all set, engines running on the runway, ready to put you and the aircraft through its paces. After some general handling, we'll enter the circuit, initially using the automatic flight features of the aircraft. With each circuit we will then give you more and more things to control and co-ordinate. If you want even more of a challenge we can simulate bad weather, flying down to minimums or even an engine failure. You decide.